Today, probably, is not my day. I dropped my phone on the ground when I was rushing to the first recitation. 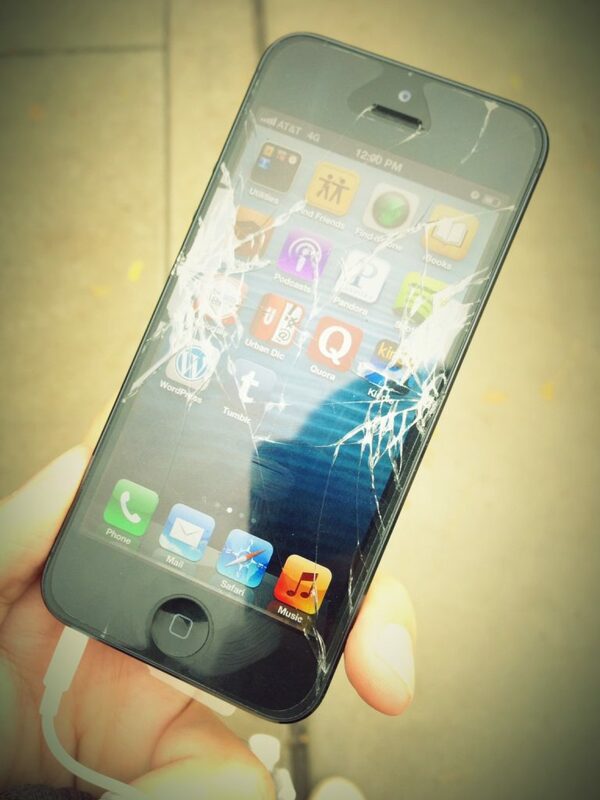 The screen was totally shattered into pieces. And I had no time mourning on the loss of my first smart phone because I had to arrive in the classroom on time. In the afternoon, I gave it a try at the Apple store. And unfortunately, I had to pay 200+ dollars for a replacement of my phone. As I was hesitating whether to take it or not, they told me that actually they could do nothing with the device because it is purchased outside the country. I left the Apple store with the number of Apple Care. Then I gave my second try. The customer service whose name is Jeremy let me hold on the line for about 10 minutes because the case is rare and he was asking for help from the senior advisor. At first, he told me that probably I needed to send my phone back to China, get it fixed and send it back. And he transfered me to the customer service in China. After listening to about-10-minute enjoyable pop songs with no one answering the phone call, Jeremy told me that he had been looking for an alternative solution so that I wouldn’t have to go through the procedure in China. Finally, he transfered me to the senior advisor whose name is Diego. And he found a new policy for devices purchased abroad which I thought was perfect for me. He charged me 99 dollars to upgrade my phone with an Apple care which will cover two incidents with 49 dollars extra charge each time. The only downside of this deal is that what I got is a new iPhone 5 locked to AT&T network instead of the factory unlocked one. I think overall it is a good deal because it’s cheaper and gives more protection. During the evening, I went again into the Apple store, and replaced my phone with a new one. But I don’t know why it took them for like an hour to get it done. But anyway, it’s fixed. Lesson learned. Buy a case. Just in case.